2016 was an eventful year, marked by unprecedented political polarization, hacked emails made public by WikiLeaks, Brexit, two huge Yahoo security breaches, and even exploding Galaxy Note 7 smartphones. But hidden among the uncertainty lies a year of unparalleled technological advances. 2016 will be remembered as a tipping point for artificial intelligence (AI), autonomous car technology and virtual/augmented reality—all of which was stimulated by corporate-backed rounds, accelerators and partnerships. From billion-dollar funds to strategic AI acquisitions, corporate innovation efforts paid off last year—big time. Below, we've compiled a list of the top corporate innovation trends from 2016, plus their implications for 2017 and beyond. Although it's not unusual for VC firms to have total investment funds of over a billion dollars, 2016 marked the trend of corporates joining in. In October, SoftBank announced its massive $100 billion Vision Fund. First-of-its-kind, the fund is a joint effort between SoftBank and the Public Investment Fund (PIF) of Saudi Arabia. The Vision Fund reportedly plans to focus on emerging technologies, such as artificial intelligence and the Internet of Things (IoT). In addition to Apple's recent $1 billion investment, Saudi Arabia has pledged to put in $45 billion, and SoftBank is deploying $25 billion of its own capital. Around the same time, the Chinese Internet company Baidu launched a $3 billion corporate venture fund, Baidu Capital, which has its eyes set on mid- and late-stage deals in the Internet sector. According to Baidu, large insurance funds and securities companies have already made serious capital commitments to its venture fund. Over 40 AI startups have been acquired in 2016 alone. While companies like IBM, Intel, Google, Apple, Salesforce and Yahoo have previously competed to acquire private AI companies, Samsung emerged as a new player in October when it acquired Viv Labs, a next-gen AI assistant founded by the creators of Apple's Siri. GE later made two AI acquisitions (Bit Stew Systems and Wise.io) to keep up with IBM's Watson product. In December, Microsoft Ventures announced “a new Microsoft Ventures fund for investment in AI companies focused on inclusive growth and positive impact on society." Even the White House has recognized the tremendous opportunities surrounding AI. In May, the White House Office of Science and Technology Policy announced a new series of public workshops on topics in AI. WIRED called 2016 “the year self-driving cars took the wheel," and for good reason. In January, GM invested $500 million in Lyft and in May, Ford invested $182 million in Pivotal Software, a startup specializing in cloud-computing. In march, GM acquired Cruise Automation, a San Francisco-based self-driving tech startup, for more than $1 billion, topped this fall by the second largest tech acquisition in history: Qualcomm acquired fellow chip maker NXP Semiconductors for $39 billion in order to make chips for autonomous vehicles.More than 30 other corporations, such as Audi, BMW and Honda, are also working on autonomous vehicles. In April, smartphone maker HTC announced a $100 million corporate venture fund and accelerator called Vive X, with a mission to “help cultivate, foster and grow the global virtual reality (VR) ecosystem." Just months later, HTC announced the $10 billion VR Venture Capital Alliance, a “close-knit membership comprised of 42 of the top virtual reality investors in the world." Other corporations got in on the action, too. With support from Enlight Media, CAA, Acer and WPP, Imax launched the $50 million Imax VR Content Fund, and Magic Leap closed its $790 million series C round, which featured corporate powerhouses like Alibaba, Google, Qualcomm, Legendary Entertainment and Warner Bros.
Focus on faster project incubation and learning. Corporate innovation teams should consider implementing Lean Startup principles to save money in product development, find better partners and accelerate internal growth. GE, ING, Samsung and others have already adopted the iterative “build-measure-learn" methodology. Embrace corporate co-creation. In recent years, many companies have pooled together resources and have become less guarded, paving the way for unprecedented forms of co-creation. Tesla Motors is one of the most extreme examples of non-traditional collaboration, opening all of its patents to outside use to advance electric vehicles. Re-skill workers for a higher-tech future. Sure, AI, self-driving cars and virtual/augmented reality are expected to greatly improve everyone's life. However, these technological innovations shouldn't come at the expense of people and their jobs, especially for the older generations of workers. Therefore, corporate innovators should make a conscious effort to reskill people of all ages for the tech-powered future. 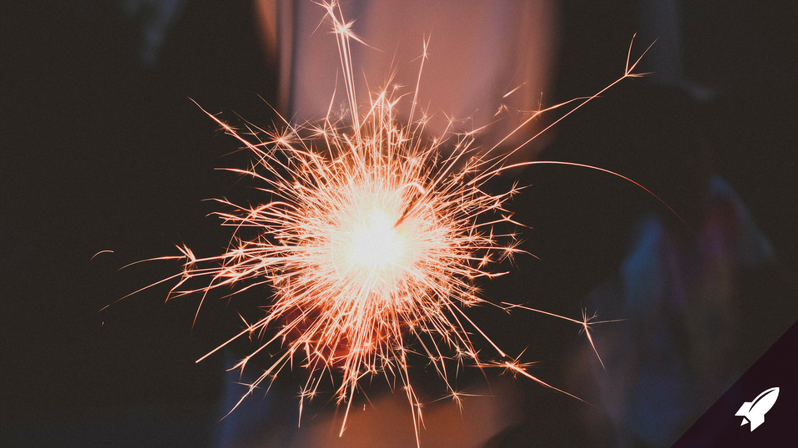 Congratulations on getting through 2016—you made it! Now it's time to look ahead. Whether you've already launched a successful corporate innovation program or are simply interested in learning how innovation efforts can help your company develop a competitive edge, feel free to get in touch with our corporate innovation services team. 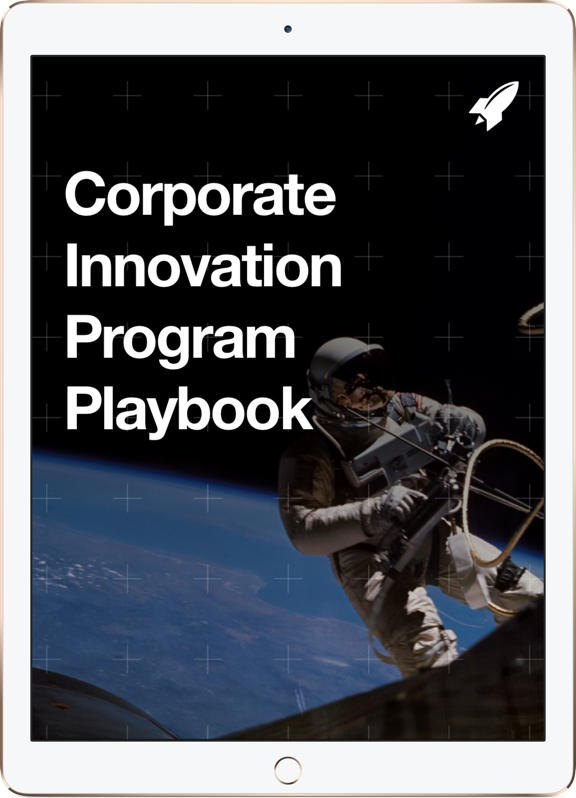 Want to keep up to date with the latest corporate innovation trends, news and in-the-trenches tips? Subscribe to our Corporate Innovation Blog!